Last Minute Limo Bookings… Up to 40% Off! What's a last minute booking? Well, most limo companies ask that you book 7 days in advance. Anything less than that is considered "short notice." While other companies charge extra for short notice, we actually give you a discount! The discount gets even bigger if there is a cancellation and we can schedule you in that same time slot. This makes our route more efficient, and we pass the savings to you! Call right now and you will get a hold of a real, live limo specialist (NEVER a voicemail) ready to book you on short notice for…. 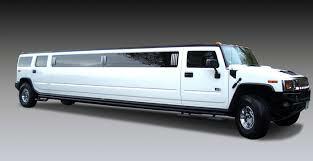 Whether you need a limo now, or you’re gathering information for a future event contact us now for a no-hassle FREE quote by calling ﻿801.903.2255 Or, fill out the form below. "Quite simply, the finest limousine company I have ever used." That’s all it takes. The sooner you call, the more likely we are to find a discount for you. We’re always running different discounts and promotions, so make sure to ask about how we can help you.